Save your search - find out immediately when "Federal-style Upholstered Mahogany Easy Chair " is available at auction! Federal-style Upholstered Inlaid Mahogany Easy Chair. 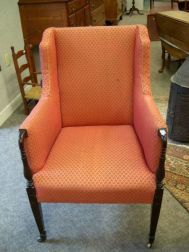 Federal-style Upholstered Carved Mahogany Easy Chair. 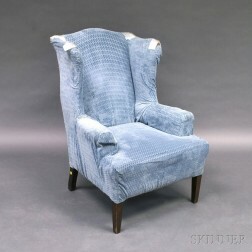 Federal-style Damask Upholstered Inlaid Mahogany Easy Chair. Federal-style Red Upholstered Mahogany Easy Chair. 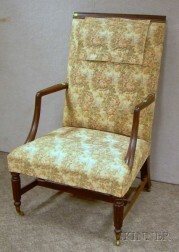 Federal-style Green and Beige Silk Upholstered Mahogany Easy Chair. Federal-style Upholstered Mahogany Easy Chair and an Upholstered Footstool.